SPECIAL OFFERPurchase Dead Island Definitive Collection and get Dead Island Retro Revenge for free. Notice : Activation key must be used on a valid Steam account, requires internet connection. ABOUT THE GAMEParadise meets Hell! Welcome to the Zombie Apocalypse experience of a lifetime – and now more beautiful than ever. Caught in the midst of an epic zombie outbreak on the tropical island… of Banoi, your only thought is: Survival! The Dead Island Experience	Smash heads, crack skulls and slice ‘em up with visceral astounding melee combat and true story-based 4 player co-op in a sprawling open world just waiting for exploration.The Dead Island Definitive Collection	Contains the genre defining Dead Island and it's undead successor Dead Island Riptide bundled with all previously released DLC. 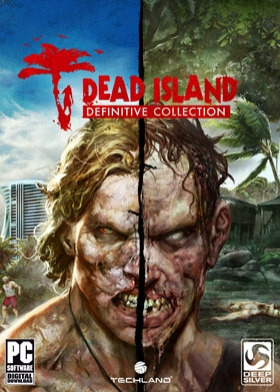 KEY FEATURES Fully remastered: Experience Dead Island and Dead Island Riptide in crisp full HD with Improved graphics, game models and a photorealistic lighting system with physically based shading. Adrenaline-Fuelled Combat: Smash heads, crack skulls and slice ‘em up with the weapon of your choice in the visceral astounding melee combat. Seamless Coop Multiplayer: Collaborate with your friends, live through a story of the struggle for survival in a world gone mad. Discover the Island: Explore the island paradise; from the deserted city, secluded beaches and vast highlands – discover the story behind the zombie outbreak. Experience the atmosphere: Experience the dense atmosphere - feel the destruction, the horror and madness. Immerge yourself in the turmoil that is taking place on the Island. SYSTEM REQUIREMENTS Minimum : OS: Windows® 7 64-bit / Windows® 8 64-bit / Windows® 8.1 64-bit / Windows® 10 64-bit Processor: Intel® Core™ i5-2500 @3.3 GHz / AMD FX-8320 @3.5 GHz Memory: 4 GB RAM DDR3 Hard Drive: 20 GB free space Graphics: NVIDIA® GeForce® GTX 560 Ti / AMD Radeon™ HD 6870 (1GB VRAM) DirectX®: Version 11 Sound: DirectX® compatible Additional Notes: Laptop versions of graphics cards may work but are NOT officially supported. Windows-compatible keyboards, mouse, optional controller (Xbox 360 Controller for Windows recommended) Recommended : OS: Windows® 7 64-bit / Windows® 8 64-bit / Windows® 8.1 64-bit / Windows® 10 64-bit Processor: Intel® Core™ i5-4670K @3.4 GHz / AMD FX-8350 @4.0 GHz Memory: 8 GB RAM DDR3 Hard Drive: 20 GB free space Graphics: NVIDIA® GeForce® GTX 780 / AMD Radeon™ R9 290 (2GB VRAM) DirectX®: Version 11 Sound: DirectX® compatible Additional Notes: Laptop versions of graphics cards may work but are NOT officially supported. Windows-compatible keyboards, mouse, optional controller (Xbox 360 Controller for Windows recommended)	© 2016 and published by Koch Media GmbH, Austria. Deep Silver is a division of Koch Media GmbH. Dead Island, Deep Silver and their respective logos are trademarks of Koch Media GmbH. Developed by TECHLAND Sp. z o.o. All other trademarks, logos and copyrights are property of their respective owners. All rights reserved.